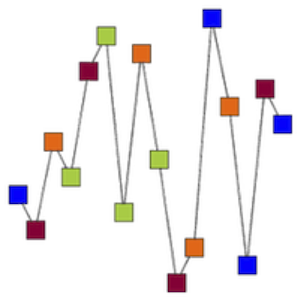 Problems in Spectral Geometry July 19–23. The conference includes speakers Peter Sarnak and Victor Guillemin. 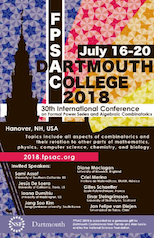 The Eighth Conference on Permutation Patterns, PP2010, will be held at Dartmouth College, August 9–13, and will feature plenary talks by Nik Ruškuc and Richard P. Stanley. The 2010 instance of the East Coast Operator Algebra Symposium (ECOAS) will be held at Dartmouth on the 23rd and 24th of October, 2010. The conference is funded by the NSF and the organizers are Erik van Erp, Jody Trout and Dana Williams. Mechanical Puzzles Day at Dartmouth (Tuesday, February 19) followed an historic Minisymposium on Design of Mechanical Puzzles at the Annual Meeting of the American Society for the Advancement of Science in Boston.